I am not denying he gets targeted Engine#4. He takes a lot of hits and fronts up every match. One of the things I admire a lot about him. I just think he is overly dramatic with his appealing for foul play. Jeez. Poor Gibbons - that looks nasty. The TBP in for Leinster now. Well played by them and they are well in control of this pool. Looks a bit glum for Glasgow now. Noel Reid with a little mazy run gets the TBP. Top marks to the Ladyboys, especially Furlong, you deserve it today. No arguments there. 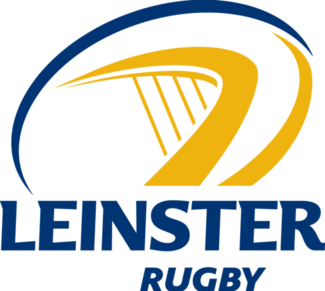 Excellent away win for Leinster. Well played Leinster, they are some team. I thought it was way too early for Leo Cullen to lead this side 18 months ago but he is doing an excellent job. Damaging game for Glasgow, both in terms of the result and the number of injuries. Why was Fagerson still on the field for Leinster 4th try? Basically gifted Leinster the TBP. Not enough muscle from Glasgow up front and not enough pace out wide. VinceWLB wrote: Why was Fagerson still on the field for Leinster 4th try? Basically gifted Leinster the TBP. Hogg, Seymour and Sarto aren't exactly slow! ach well, congratulations Leinster. Just too good for us. Apart from Hogg, none of them have blistering pace and that's what you need when you have your forwards getting bossed around as was the case today. Also, couldn't help but feel Horne isn't up to this level. Actually thought that Horne played very well today. Another really frustrating game from Glasgow, Leinster are far to good a team to give a decent lead into a strong wind and expect to run it down in the second half. We lost that game in the two minutes before half time when we went to sleep and gave away a scrum penalty and then a line out drive from way out to score their try. Up to that point our set piece had looked solid enough. We were never really in the game after that to be honest. Leinster played a much smarter game and took their chances, we did not, for the second week running and that is why we won't be going through and you can't say that we deserve to either. Crap from start to finish! Depressing really ! Not moving on at all. Didn't watch it as it was on too late but well done to Leinster. Looked like a bit of a horror show from our perspective. We really need to shore up our tight five or we aren't going to be challenging for much this season. Apparently one Irish journalist said of Glasgow “It’s like trying to get your kids to concentrate on their homework!” and that is pretty accurate just now! Glasgow look even more fast and loose under Rennie (stop sniggering in the back) than they were under Townsend, but the problem is they are lacking the end product. It's the old cliche that you have to earn the right to go forward, and Glasgow just aren't doing that ( not helped by the pack being humbled in both games). Glasgow go for the miracle play every time and it just isn't working, and there are far too many knock ons and errors as a result. Will Rennie alter his tactics for the next big games, or is it more of a problem in execution than game plan? Rennie, like Cotter, like to bring as much pace into the game as possible. Rennie needs time to get the players to believe in the tactics and game plan. The base is there and I believe that Glasgow will get better and better. eirebilly - don't get me wrong I'm.all up for playing at pace but Glasgow are doing it with no solid foundation. That works against weaker teams but has been shown up at the highest level. Problem is Glasgow have athletic but lightweight forwards and are lacking physicality up front. On one hand that means they're playing the right game plan, but you still need to fulfill the basics as a pack such as set piece and maul defence.